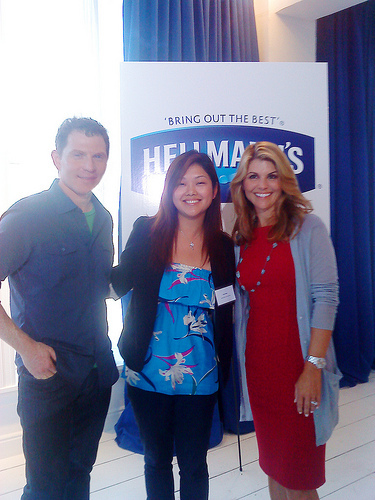 This Tuesday, I was invited (along with a group of NY food bloggers) to spend my lunch hour at the Hellmann’s Back to School Mealtime Solutions 101 with Bobby Flay and yes, that Aunt Becky (from FullHouse Lori Loughlin). 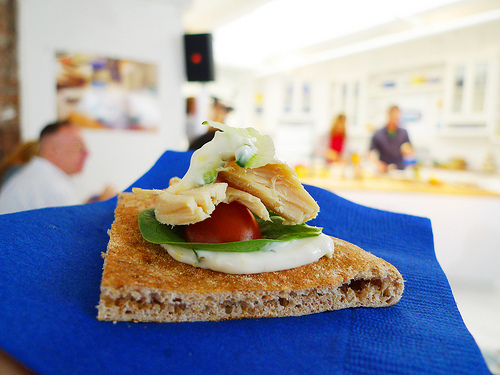 The duo basically did demos of easy and tasty fixes any busy mom could whip up for their kids in no time. 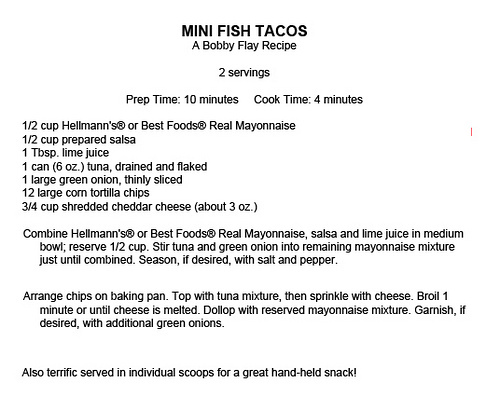 Bobby shared 3 of his recipes (all using Hellmann’s of course) and Aunt Becky helped along the way. The two were quite comfortable, fun and witty next to each other, which made the demo extra entertaining. 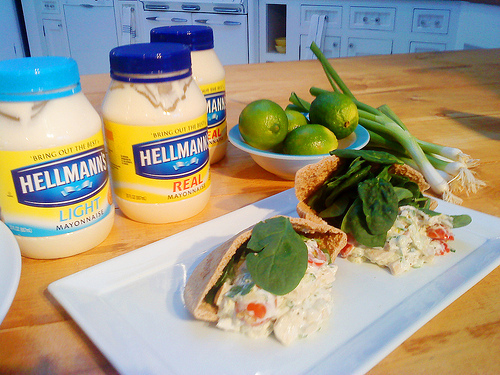 This tasted pretty healthy and the cucumbers gave it a nice fresh touch. 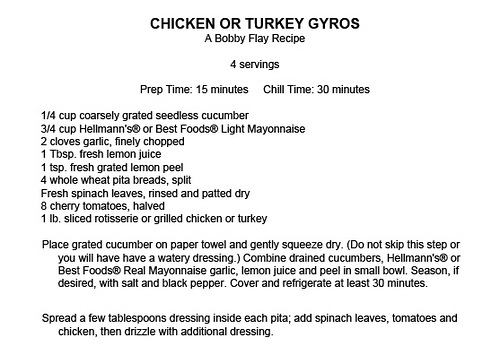 I can totally see myself making this for lunch, even without the pita bread. The grated lemon peel just gave it an extra punch of clean, wake your palate up feel. Bobby decided to use Turkey Bacon here, I would of liked the real stuff, but that’s just me. 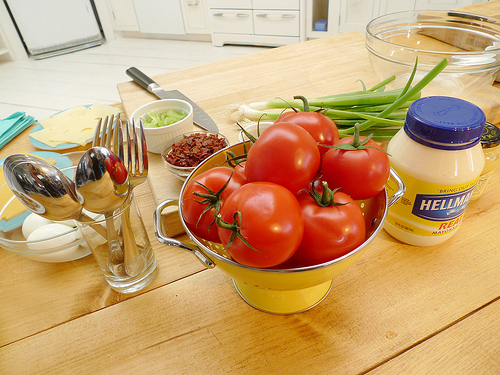 The dijon mustard was a nice contrast of taste to the mayo and the paprika gave it a punch. 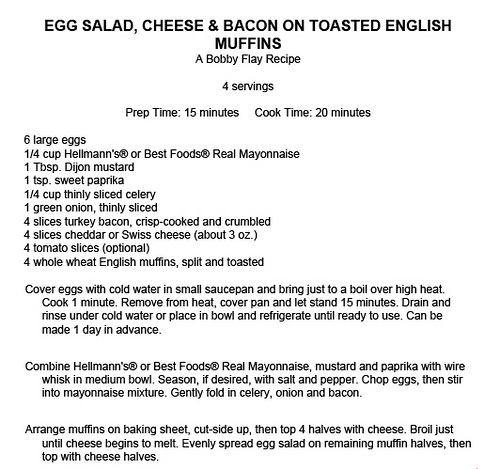 Homemade egg salads are the best, store bought ones always makes me feel uneasy, not sure why, but this is simple enough, even this Chubby can do it. 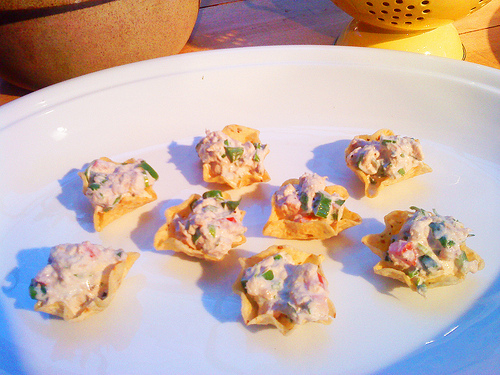 I didn’t think I would like this one when he opened a can of tuna, but the fresh ingredients he added in plus the corn chips brought a lot of textures. 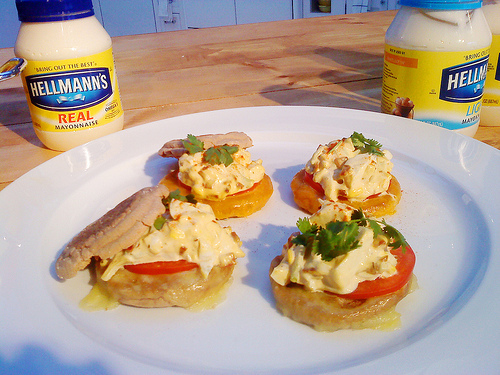 Mayo, makes everything taste better in my book and suddenly this was a winner and I can myself serving this at parties or just a simple snack in the afternoon. This was taken with my camera phone, urghhhhh, I was so frustrated, but it always happens to me. I thought I fully charged my camera batteries only to find it flashing a couple shots later. 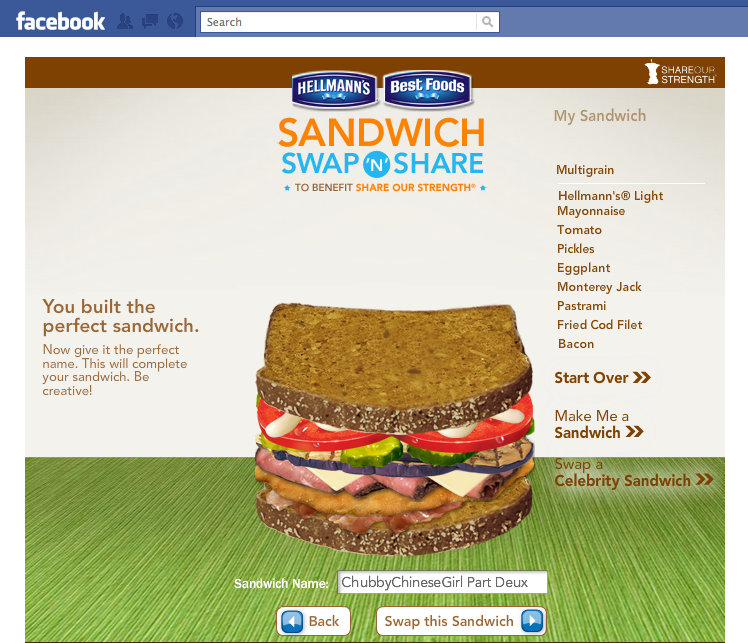 Either way, I had a fun lunch with Bobby, Lori, Hellmann’s and fellow bloggers.